But do you like it as much as Todd Phillips likes Taxi Driver and The King of Comedy? Derivative-ness aside, this seems like a good approach to a solo Joker movie. I'd be all for a series of Joker movies that are just a series of contradictory origin stories, rather than trying to sustain him as an anti-hero. Whereas in a story where Batman is the lead, I'm much happier for him to have no origin. I once thought I wanted to know the "secret origin" of Darth Vader and Boba Fett. I have since learned my lesson. 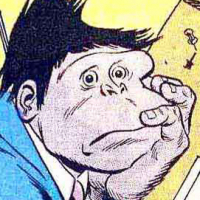 I now know I don't want to know how the Joker came to be, or Thanos, or Jack the Ripper, or Pennywise. Every time you peel back that veneer of dark, evil, or badassery, you reveal a more sympathetic, and ultimately weaker character. This is certainly an "interesting" take on the character. Will a sympathetic Joker work? Before anyone mentions Killing Joke I would point out that the Joker had already been long established as a lunatic killer and TKJ was a possible peek behind the curtain that had a dream like quality to it. I generally loved Moore's writing back then and the darkness felt vital and new at the time (and I was young), but I was never actually moved by the origin and Bolland's art helped alot. As an adult I realized that that story is thin which became even more noticeable when they made the animated version. It gave Batgirl an entirely new backstory for a good chunk of the running time and still felt like a very slim narrative. This film seems to be asking us to relate to and feel sympathy for a character whom we know is going to become a sociopathic killer. Once you know someone's going to become horrible it's harder to connect. It certainly didn't work for Lucas. Unless the film plans on not making him so horrible in which case, what's the point of calling this Joker? But who knows. And I do think Phoenix will be great in it. Kinda looks like their going with the Killing Joke origin. I definitely like this Joker more then the one in Suicide Squad. I don't think their going for sympathy, more just understanding. But it's weird because there has to be some kind of opposing force to the Joker, and it's super weird for that not to be Batman. Maybe they'll glimpse him in this? I also would have been OK if Batman was just in this movie, but we only follow the POV of the Joker. I’m there with you. I think the Star Wars prequel trilogy illustrated the best for me how much the actual backstory can change the perception of a character. 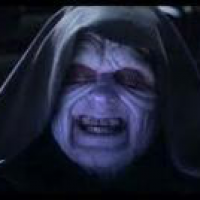 Once you saw how whiny Anakin was, suddenly he’s not as imposing or scary when you see him in the beginning of A New Hope. I think not knowing generates more interesting possibilities then when things are laid out for you. Yeah... 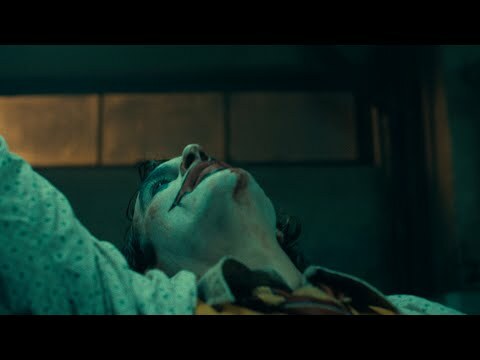 I didn't like The Dark Knight as much as most people, but I did like their take on the Joker... in particular the "let me tell you how I got these scars" bit, where he gives a different story to each person. He is an agent of chaos, which makes him scary, unpredictable and undefinable. As soon as you pin down the origin, you have introduced order, and can more or less understand who he is. I never took his origin in The Killing Joke as definitive... I took it more as one of the possible pasts swirling around in his mind... the origin that he conjured in his own mind to suit the occasion. I agree I’m not AS big a fan of The Dark Knight as (seemingly) most people. I didn’t mind the “scars” bit because once I realized it was going to be different each time, I understood we were never going to get the truth. I liked that it was established, once the police apprehended him, nothing about him could identify who he really was. I'm not sure I agree with the logic of "because the Star Wars prequels were bad you should never tell the backstory of a villain". Since this is not part of a movie trilogy or connected to any other films, I don't see a harm in telling a story about how the Joker became the Joker. You can look at it as a modern Taxi Driver as that seems like obvious inspiration. I knew I should’ve gone with Rob Zombie’s Halloween as an example. Adding a ‘human side’ to the mania ruins the illusion for me. Does anyone else think this version of the Joker has a resemblance to Bill Murray’s character, Grimm, in Quick Change? That’s basically my thought too. Instead of the worldwide threat the heroes have to face (and I like those stories too). This is going to be a smaller story and at least I’m ready for that. I’m not saying it’s going to work but it’ll be something different. Nah, Quick Change was actually funny. Very underrated movie. I don’t know about the movie presentation (I actually haven’t been interested enough to watch the trailer), but the makeup & look of the Joker reminded me Quick Change. You’re right, it’s a very underrated movie. I’d easily put it in my top 20 comedies. Off the top of my head here's some good movies from the villain's point of view: The Shining, Taxi Driver, Misery. I wouldn’t include Misery in that list. It’s from the author’s POV. It's been a long time since I’ve seen it, but I don’t remember very many, if any, scenes where Annie is on screen by herself. When she leaves the room, the camera stays behind to focus on Sheldon. We don’t see Annie when she learns Sheldon has killed off Misery, we only see the aftermath—what Sheldon sees. Sheldon finds out Annie’s back story while she is out of the house. We don’t see her descent into madness, or even learn why she is the way she is, we just see her eventually reveal what was there all along. Good movie though. I haven’t seen any of those, but my understanding is those are different from Rob Zombie’s Halloween & the Star Wars prequels. In those movies, back stories were revealed for villains we were initially exposed to as villains. When I first saw Vader, I thought he was this scary, powerful partial man that instilled dread. By Return of the Jedi, we finally see Vader all this time was just some old dude. The prequels showed us he was also very whiny.